Lesley’s post is so precious, you have to go there NOW by pressing here! All of you readers out there, dust off those forbidden white clothes and step into the spotlight for International Peace Day! Dare to break the rules and – gasp – wear white after Labor Day! I look forward to seeing how many of our WordPress friends will contribute to this movement! Help spread the word, and let’s paint WordPress white on September 21st! You surely have some great images of peace! I’m on it!! Thanks for the heads-up!! It all comes down to your cultural upbringing. For example, hindus wear bright colours to celebrate (anything, including weddings) but christian brides wear white as a symbol of purity (this brings up all kinds of feminist issues!). Hindu widows wear white to indicate mourning and ?celibacy! Anyway whether you wear all the colours of the rainbow at once (after all, that is what ‘white’ is -violet, indigo, blue, green,yellow, orange and red!) or different combinations, is unimportant. What is important is the underlying thoughts and wishes for ‘peace on earth and goodwill to all’ humankind! Thank you for contributing your thoughts to this post, and yes, peace on earth and goodwill to all humankind. Great! 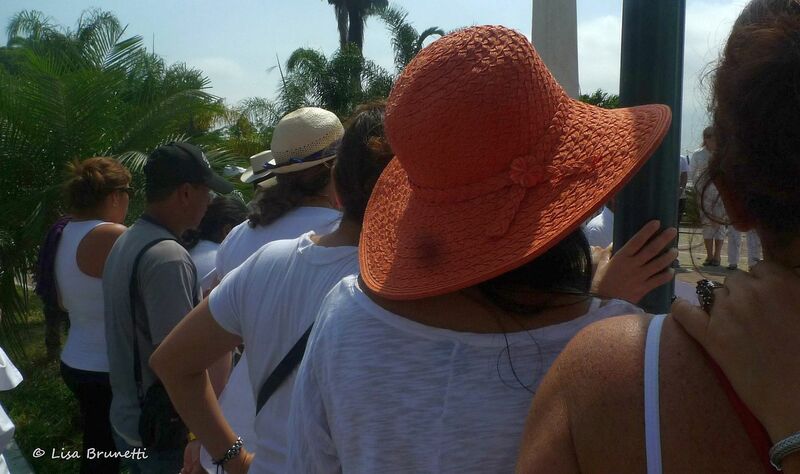 You’ll surely blanket Nicaragua with white through your post! That’s what’s so great- it’s for World Peace, so we’re hoping that people from all over the globe will wear white on the 21st in a token statement for peace! I will be sure to tout it. Great! Do you think you have time to ask your readers to wear white? the more the better! Grrrracias,Lovely Madhu! Could you ask your circle to wear white as well? Makes me happy to see that everyone commenting here said YES count me in. Wearing white is just one small step … If enough people join in we could move mountains! Thanks Lisa. I didn’t get a large turnout at my blog. I wore white and my husband wore white even though he works in an office where no one sees him. I’m not sure how many people participated, but it’s a start. yesterday i pondered how beautiful it will be when the entire world is linked in white – just one day of the year.. it’s possible, and we’ll keep working/networking and will start earlier next time! thanks to your husband for supporting as well! Yes! White it is. I have a friend in San Antonio, Texas who works with their Peace Center. I will forward this to her. That is great! Thank you so much! If you have a post ready to go, maybe you can mention it to your subscribers? Thanks! Your post will be eloquent and gorgeous and might even have a bonus ditty! I am clear of fever and happy to be getting well! I’ll be stuck indoors pretty much all day, but when I do step out, even if just briefly, I will be donning white. Peace needs all the help it can get!! Pingback: Travel theme: White | Where's my backpack? Thanks! Your images were amazing! Great work! We’ll have to start earlier next time, and one of these years it would be an amazing sight to see most everyone in the world wearing white for one day!